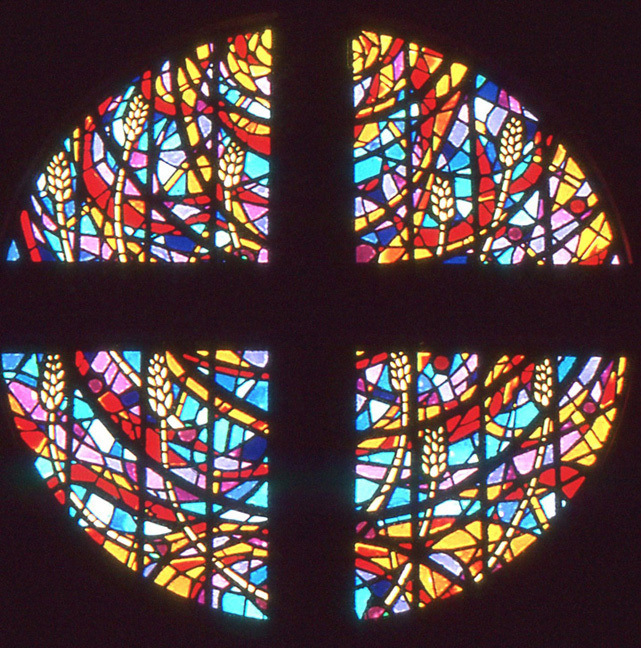 Brief Description of Subject: This window, based on a design by Michigan artist Dawn Sinkowich, is entitle "Eucharist". The sacrament of Eucharist has its origin in the Last Supper. Luke 22:19-20 ... "Then he (Jesus) took the bread, said the blessing, broke it, and gave it to them, saying, 'This is my body, which will be given for you; do this in memory of me.' And likewise the cup after they had eaten, saying, 'This cup is the new covenant in my blood, which will be shed for you.'" The sanctuary, upon which the main altar sits, is at the front of the Church (geographical north). Above the sanctuary platform is a window filled with wheat and grapes, heavy with colors of wine and bread. Through the prayer of the Mass, our simple gifts become the sacred presence of the Lord Jesus upon the altar just below. 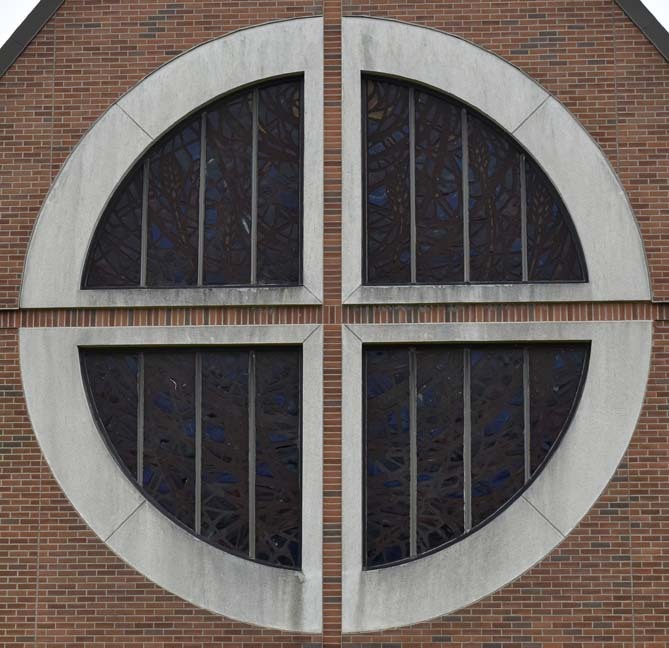 This window is important for our church building in that it helps us to remember the central purpose for our church which is to unite us around the altar to celebrate the Eucharist."